Here Beahan and McPhee delve into the landscape as a site of human history and conflict. 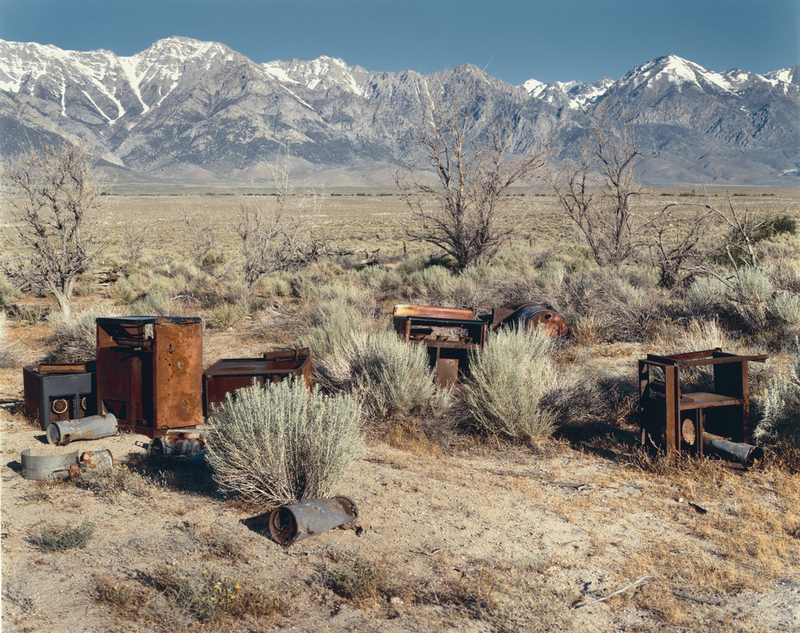 With the High Sierra as a backdrop, rusty remnants of the Manzanar relocation camp, used to detain Japanese Americans during World War II, occupy the foreground. In the middle ground stand the desiccated trunks of an orchard, part of an 1860s settlement that was abandoned after the land's water was diverted in the 1920s to irrigate Los Angeles. The orchard, in turn, had uprooted a community of Paiute Indians, who had lived there for generations.